It has been a busy autumn in the Search world. As summer drew to a close we saw Yahoo Search become replaced with Bing search results. In September we saw Google release their search prediction technology with Google Instant and as the days of October ended we saw the launch of the world's newest search engine Blekko. Just What is a Blekko? Blekko is a search engine designed to eliminate spam search results, allowing users to search via a subset of the web through its proprietary slashtag technology. Who: Rich Skrenta, co-founder and chief executive. Where: Redwood Shores on the San Francisco Peninsula in California. When: Launched October 31, 2010. Official launch November 1, 2010. Why: To eliminate spam search results and provide more relevant results based on a user's search query. Well it has been twenty five days since their launch and from those who have used Blekko that I have spoken with, seem to think that Blekko is not just another flavor of the week. I myself have just started using Blekko and I think that it is pretty cool. 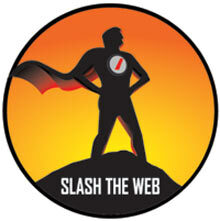 I love the idea of "slashing the web" and cleaning up search results. I have discussed the fact that I think link popularity has run its course and that the sites with the most links or with the most quality links do not always return the most relevant information that I may be looking for. Blekko allows me to determine the sources of my information and weed out what I deem irrelevant results. I do not have to worry about a dynamic search results page, I do not have to be overloaded with paid/sponsored ads and I do not have to be presented solely with large brands who outrank more relevant, smaller resources. Blekko is a breath of fresh air. The more slashes and words you add, the narrower the search results become. Users can create their own tags, choose tags of others or select one of the pre-built tags that have been listed. I can tailor the search results the way that I want them. We hope to bring you an interview with Blekko co-founder Rich Skrenta in upcoming weeks. If you get a chance, check out Blekko today.